GVS offers the outstanding storage solution with strong partnership with Seagate to deliver the best storage technology for your application, the following drive selection for your specific storage requirement. With over 20 years experience, GVS has the enterprise storage expertise as well as the global presence, to design, build and support the industry's highest quality, enterprise storage solution. 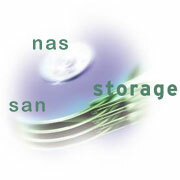 Today's solutions are built on the Seagate Storage that can provide full security and management with web access.